Promote Your Art Website on Go..
You probably already know the basics of approaching a gallery. You have a solid portfolio of current work. You researched and targeted galleries that show relevant work. You polished your CV and artist statement. Everything has been prepared with care and you are ready to send it off and finally land representation from your target gallery. But, how can you ensure that you are making a strong impression? And what’s more, make sure you foster these important relationships? Here are just a few tips from gallerists, curators and artists on how to put your best foot forward and increase your opportunities in the art world. No matter how good your work may be, if it’s outside the realm of what the gallery’s interest, you have a slim chance of gaining representation. Make sure the gallery you are submitting to exhibits artists at your career point, similar aesthetics, and price points like that of your own. They are more likely to want to work with you and have the potential to sell your work. Before you approach a gallery, ask yourself, “Is this right for me and my artwork?” If not, it’s a waste of time and efforts that could be spent on a more promising opportunity. Understanding that your work isn’t going to be a perfect fit for every gallery will only make you a stronger candidate for the right one. After you have determined that you are a good fit for a gallery, see if you can get a referral for that gallery. If someone they know and trust—especially another artist they’ve enjoyed working with—sings your praises, you immediately have a leg up on the competition. Gallery owners may be hesitant to open their doors to an artist they know nothing about, but a call or comment from an artist they trust works as an endorsement of your work and your personal brand. Otherwise, it’s often the case that when you drop your portfolio off at a gallery, you’re just another name in a long list of anonymous artists who have done the same. The owner and director aren’t familiar with your professionalism yet. Do your best to minimize risk right off the bat and present yourself as a sure bet. A gallery owner is more likely to pay attention to your portfolio if you’re even the least bit familiar. So, how else can you make yourself known? To build the relationships needed to get referrals, get involved in your local arts community. Join local artist organizations or set up shop in a shared studio space. 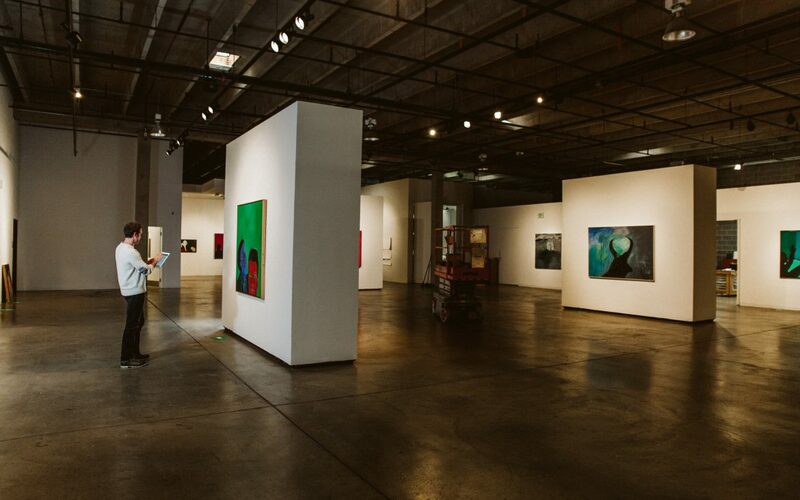 Take a genuine interest in what others are doing and take an active role in your community by going to openings at your neighborhood gallery and networking at other cultural events. If there’s a juried show that will be hosted by one of your target galleries, consider entering it. Go to shows at the gallery and make a point to find a good time to introduce yourself to the owner. The goal is to put yourself in a position where you will meet a gallery owner while also being respectful of the gallery’s time. Some galleries have set times or dates when they’ll review portfolios, seek these out and mark them in your calendar. Artwork Archive’s reporting tools help you quickly produce professional reports and present your work with a polished edge. Do not submit very large files via email. If providing high resolution images, consider using a cloud-based service like Artwork Archive. Submit your current work or work reflective of the style in which you would be contributing to the gallery. Include an up-to-date C.V., price guide, and related artwork captions. Do not send blanket emails. These typically get deleted. One easy way to be prepared is by inventorying your artwork. Platforms like Artwork Archive that provide easy-to-use tools for artists to easily create a full list of images and details in just a few minutes help you present yourself professionally—with ease. In the click of a button, you can generate consignment & inventory reports as well as tear sheets, gallery labels and shipping labels—an essential part of working with a gallery. This ensures the gallery has the exact information on hand about your artwork. They’ll know the price, dimensions, any notes you want to include, its consignment ID, and the date it was consigned. First and foremost, stay consistent with the style of work you are presenting. If a gallery invites you to a show based off of your submission, take heed to create work with respect to that style or subject. The gallery enjoyed what they saw and recognized the potential of such work with their collector base. Don’t be afraid to check in periodically with your gallery about how things are going with your work. If sales are doing well, can they be better? If sales are slow, is it something on their end or yours? You can’t find a solution unless you are addressing the right problem, and an honest answer from your expert gallerist will point you in the right direction. 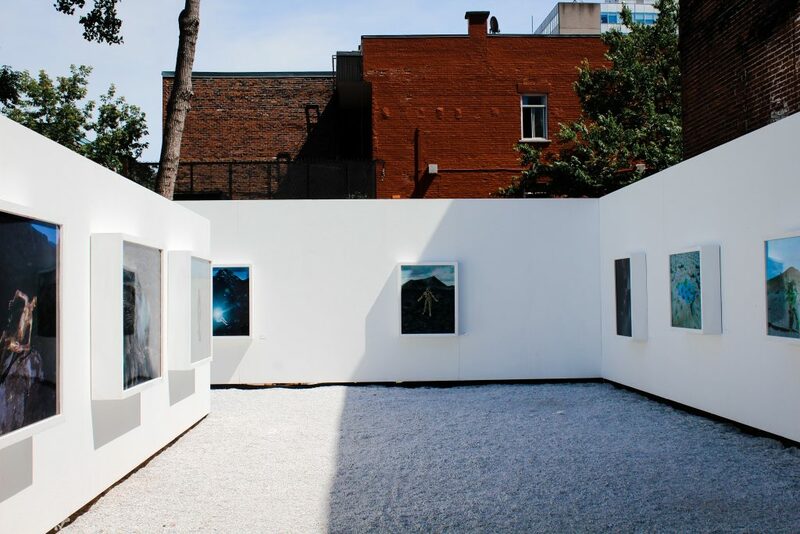 Artist Jordan Scott has gained representation with many galleries and maintains good relationships with them by reaching out on a regular basis. He suggests contacting them with a simple “‘Hi, how are you? Wondering if there was any interest.’ Not asking for anything. If you go about it professionally, they will be more than happy to work with you. Remember, you are partners. When you succeed, they succeed. Keep your pricing consistent as well. If you’re selling a painting collector directly out of your studio for $1,000, keep this pricing for pieces with the same size and style. Once you set a price point, you’re responsible for maintaining it. Providing your gallery with well-labeled artworks is one way to ensure a good working relationship. Photo by Diana Rodriguez. Let’s face it, no gallery director, curator or office manager likes to chase down artists for information. Whenever you deliver your work, always provide all the details in a way that each work can be identified properly. “The main thing you can do to maintain gallery relationships is to be professional and prepared when they ask you for prices or images. You want to make sure you not only get it to them within a day or so but that it’s presented in a professional manner,” Jordan Scott echoed. You don’t want to be digging for images, details, or documents last minute. Have thumbnails of your artwork with and supporting details clearly listed out for them. 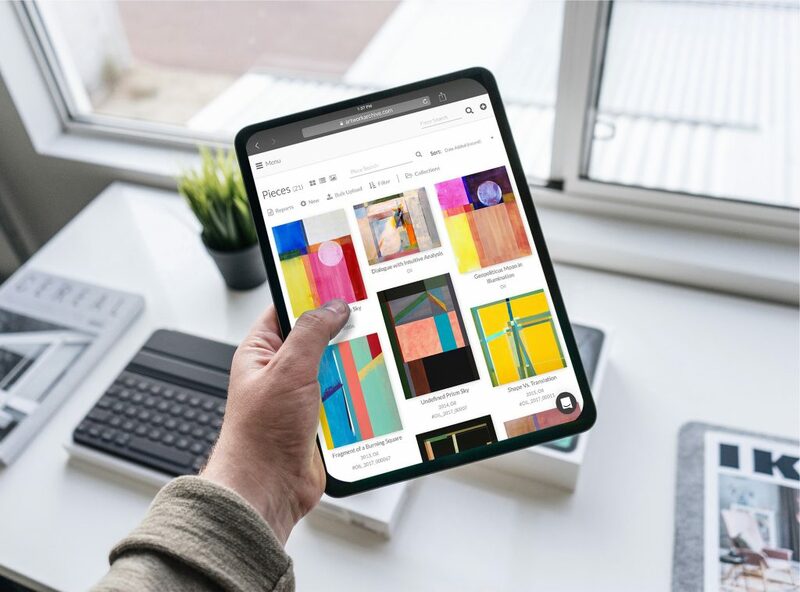 With your art inventory at your fingertips, you’ll be able to choose the right collection of pieces for your presentation. Everyone wants to work with artists that are on top of their game and ready with all the information ahead of time. The gallery has an audience and so do you. “Increasingly, more galleries are gravitating toward artists who are out there pushing their work on social media and helping spread the word. It is a welcomed asset beyond the work itself,” said Chicago based visual artist and curator, Sergio Gomez. Again, a show is a partnership between the artist and the gallery. It helps in the partnership to be a good team player. Be ready to showcase your artwork, wherever you are with inventory tools available anywhere, on any device. In the business of art, you can’t lose. You either win, or you learn. Odds are that you will be told no. Or, you may get no response at all. All of that is okay. The competition for gallery spots is incredibly competitive, so chances are you will not get into every gallery you admire. Learn from the rejection and be reflective of the process. It could be that it isn’t the right fit, your work might need more development or it simply just might not be the right time. Whatever the case, learn from rejection and use that new knowledge to evolve your approach and go forward in the future. 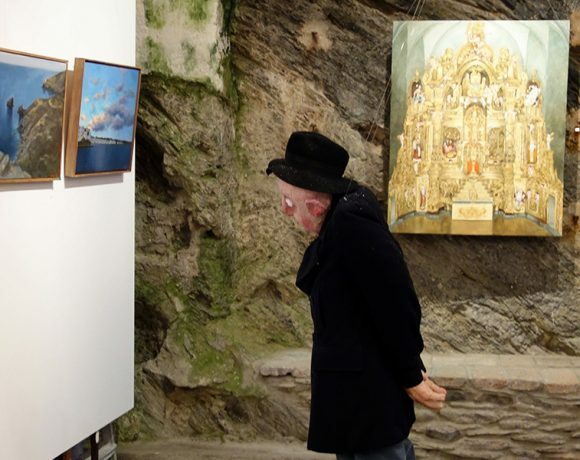 The first step to making a strong impression with your galleries? Prioritize cataloging your artwork and getting organized. Artwork Archive is an art inventory platform that artists use to work with galleries, present their work, and run their careers. Professional artists around the world use Artwork Archive to stay organized, on track and productive. The simple, yet powerful art inventory software helps artists run the business side of their career by tracking inventory, sales and contacts and more. Start using the tools that impress clients and galleries, free for 30 days. You can start saving time and getting back to the studio by creating invoices, inventory lists and labels with a click of a button when you get started with Artwork Archive. Get started with your free 30-day trial here.